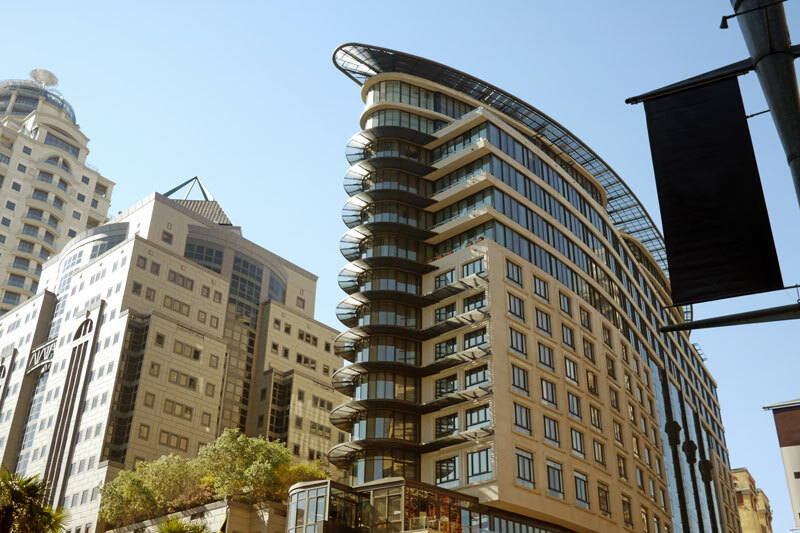 More commonly known as Jo’burg, or Jozi, Johannesburg is a rapidly changing city considered the pulse of South Africa. The hipster city, sited by Rough Guides as the number one city to visit in 2015, is sprawling, wired, culturally and historically rich, and the commercial heart of the country. Where before its centre was somewhere you gave a wide berth, today down town is smartening up, with a number of urban-renewal projects that have put the inner city back on the map for tourists. Johannesburg sprawls. It’s bigger than greater London in terms of area, and can feel hugely intimidating for those visiting for the first time. Public transport is anything but straight forward, the city’s pace is frenetic at the best of times, worse at peak hour, and getting around can take hours if you don’t know where you’re going. 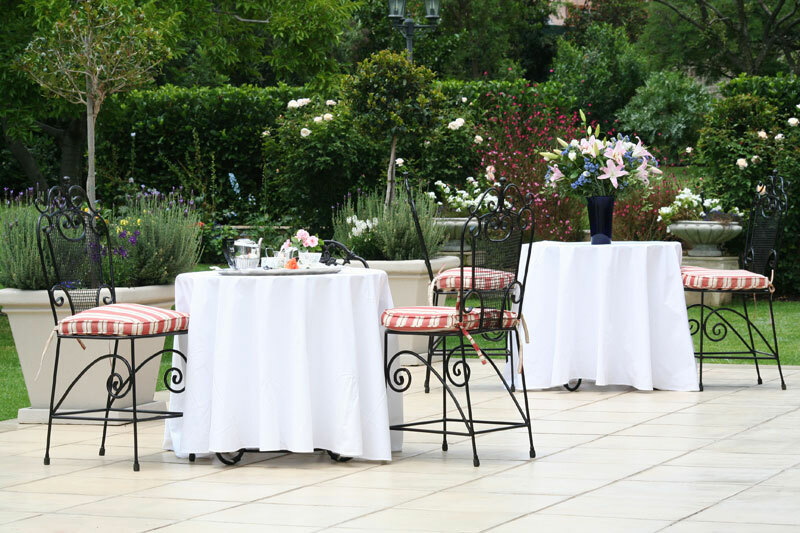 This pretty guest house in Randburg is where French Provencal meets affordable, yet elegant, accommodation, the house draped in beautiful antiques that include a Mahogany cupboard that may have belonged to Cecil John Rhodes, and the added promise of alfresco breakfasts out on a garden patio. There is little here that doesn’t please the eye. Book now at Burkleigh House. 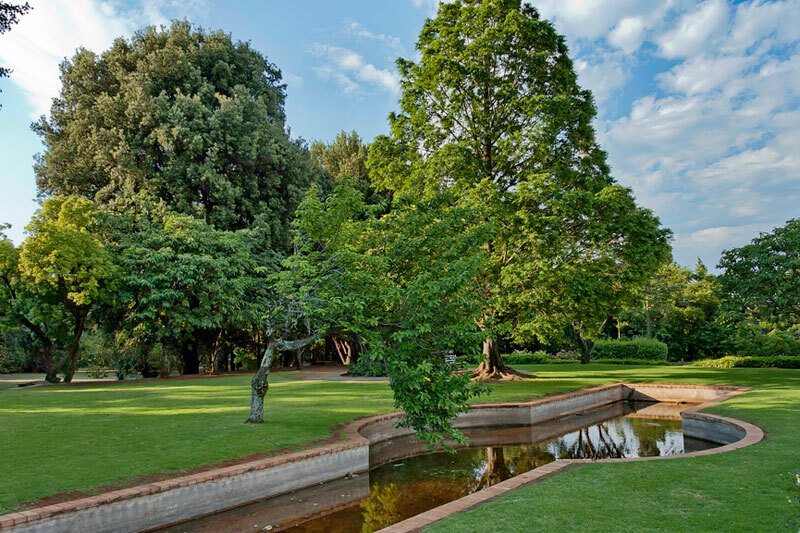 As far as value for money goes, you’re not going to get better than this retreat, set in park-like gardens in Craighall. There is even a river flowing past, and the six rooms are all beautifully decorated. As a bonus Hands on Retreat includes a spa. 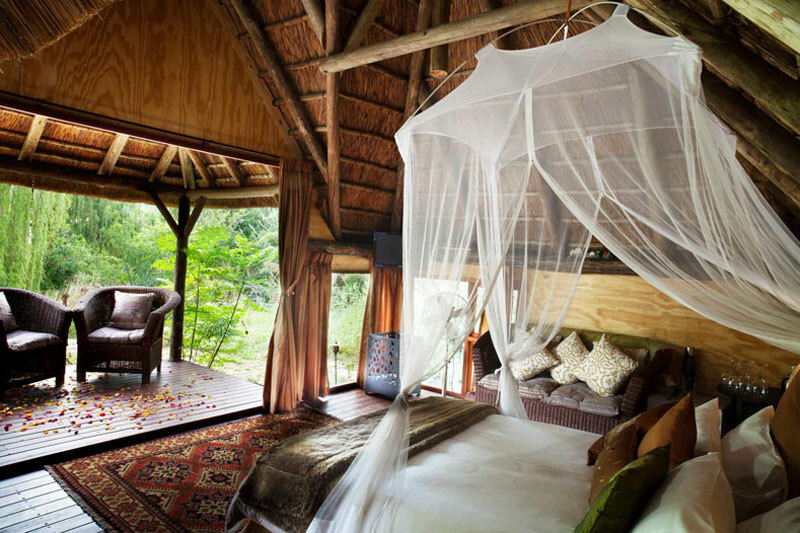 This extensive property in Lanseria lies on the verge of the Cradle of Humankind, designed with romance in mind. From a cottage next to the river to a thatched boudoir tree house under the boughs of a willow, and a farmhouse that includes five en-suite rooms, everything about this retreat screams style with attitude. We know you’ll love your stay here. Click to visit Lethabo Estate. This is a delightful budget option, more so because it neither looks nor feels like budget accommodation. The distinctly Scandi-style Bryanston based guest house is gracefully and unaffectedly furnished in a peaceful garden setting. Find out more or book now at 50 On Shepherd. This Melville accommodation option is but a stone’s throw from the suburb’s trendy high street, its rooms artistically and elegantly furnished at such good prices, you’ll wonder at the sense of paying more elsewhere. The courtyard garden steals the show. Book at 84 On Fourth Avenue. This Green Park based guest house is set in amongst beautiful country gardens, with thatched roofs, sunny patios, a play of sunlight and glass, and simply, stylishly furnished rooms. To find out more visit Green Park Manor. When business decamped to the northern suburbs the inner-city was left to decay, and decay it did. But recently parts of it have been dramatically transformed. 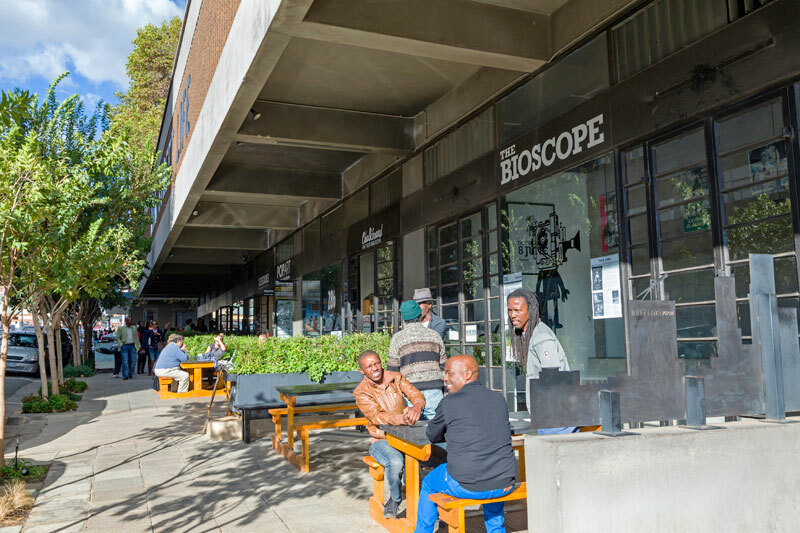 Maboneng has converted former industrial buildings into a hip and happening series of galleries, restaurants and weekend market; the Fordsburg precinct is regarded as the city’s interior design hub, and Newtown, with its galleries and theatre, is the city’s cultural precinct. 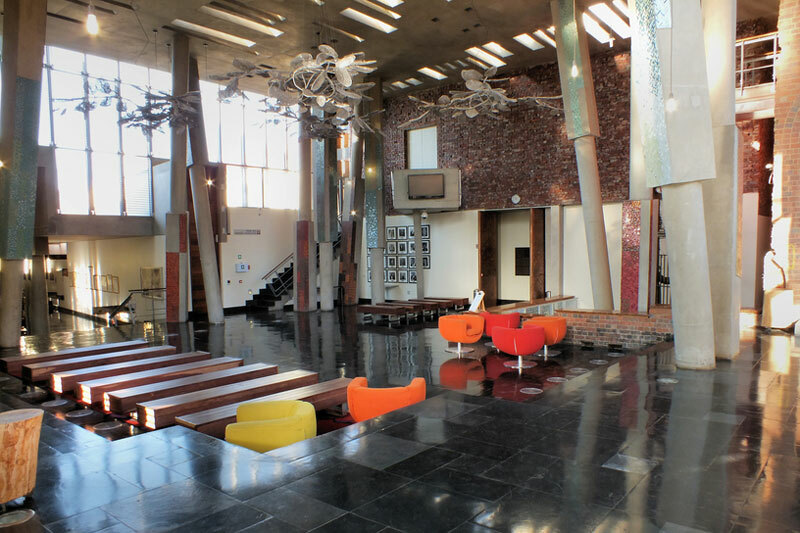 Part of the Maboneng precinct, this only independent cinema in the city is worth a visit. An alternative way to explore art galleries and cultural events in Braamfontein, Rosebank and Maboneng on the first Thursday evening of every month. A must. Possibly the best way to explore Johannesburg, the red open-top City Sightseeing bus is easy to use. The routes visit the major museums, attractions and inner-city in a combination that is at once cheap and safe. Add the Soweto taxi tour for further adventure. Officially departs the Gautrain Park Station, but you can board at any stop. There are some brilliant guided walking tours of the inner-city and other parts of Johannesburg. Tops for us are DlalaNje, who specialise in tours of Ponte and Hillbrow (discover the truth about one of Jo’burg’s most misunderstood suburbs), and Past Experiences whose graffiti tours, amongst others, investigate the growing street art and graffiti scene. Restaurants tend to open and close with alarming regularity, so we’ve included the foodie areas that usually promise a good meal, whatever your needs. 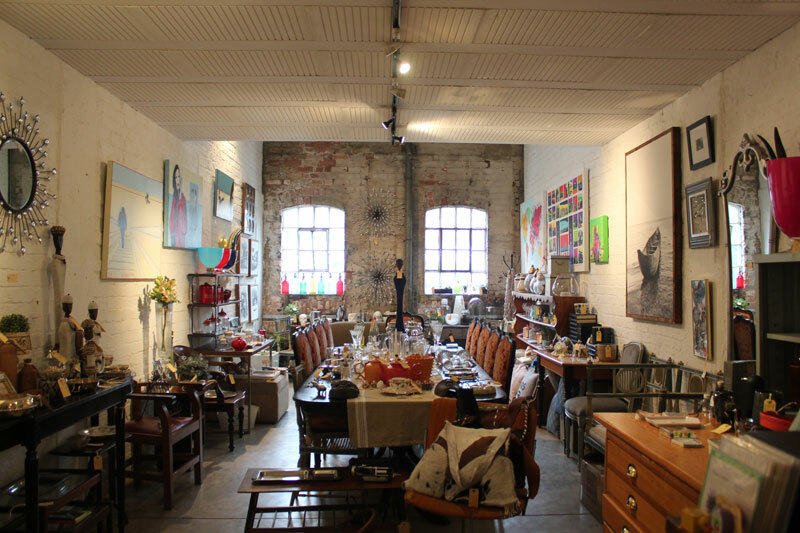 is Jo’burg’s bohemian enclave, where quirky meets good food, and chain restaurants are anathema. You can’t go wrong if something different, tasty and colourful is on the agenda. the food market scene in Johannesburg is as big as that in Cape Town and there is plenty to choose from. Best for breakfasts and lunch. Don’t Miss: Neighbourgoods market, Bryanston Organic Market, Bamboo Farmers’ Market, Blu Bird Wholefoods Market,The Sheds@1Fox, Fourways Farmers’ Market, Jozi Real Food Market, and Market on Main. is an equally good bet when it comes to food and drink hole offerings. is another resuscitated industrial complex, now a courtyard eating experience surrounded by trendy design boutiques and coffee shops, in Milpark. is great for interesting food and the pub scene. for curries and Indian cuisine, but not on Fridays during prayers. 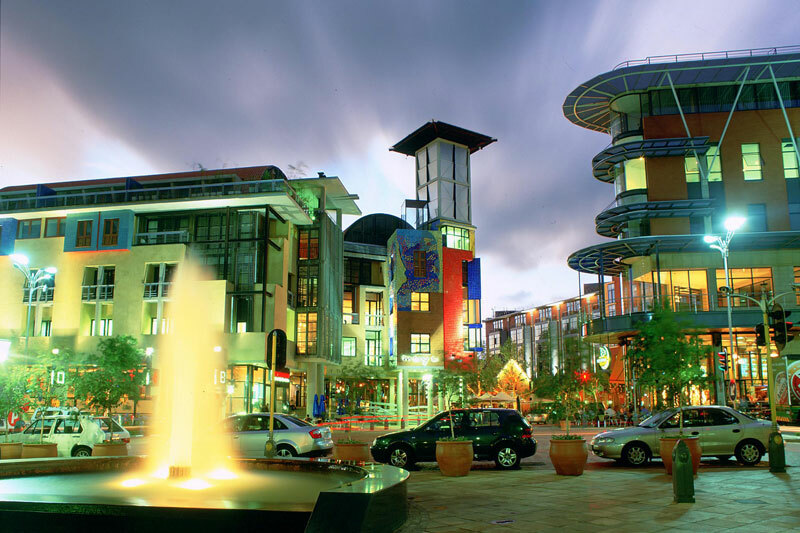 Parktown North, Parkview, Parkhurst – for high street vibe, varied eateries and a great vibe. fast becoming as hip as Melville’s 7th Avenue. Pick up your copy of the Johannesburg In Your Pocket Guide.